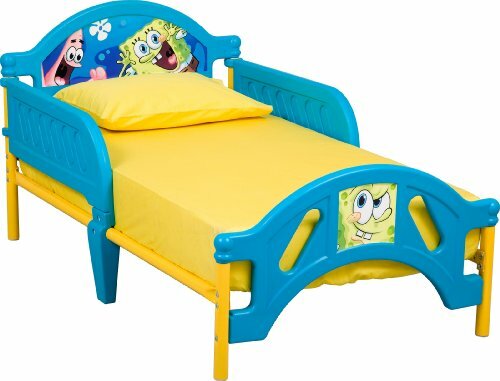 Your child will sleep tight in this SpongeBob SquarePants toddler bed. Fun SpongeBob images are inset on the rounded headboard and footboard, and slatted guardrails keep your little one safely in bed. Made of blue plastic with yellow posts and rails. Mattress and bedding not included. Matches other SpongeBob SquarePants toddler furniture pieces (sold separately).